"Teletubbies" co-creator Andrew Davenport returns with another show that is very similar in look and tone to his previous endeavor. This series also features sharing, caring costumed characters with silly names (Igglepiggle, Makka Pakka and Upsy Daisy) babbling baby talk and having adventures in a colorful outdoor setting. Designed for children aged 2 to 4, the show strives to entertain its target audience while helping them relax as bedtime draws near. Actor Derek Jacobi narrates each episode, his dulcet tones the perfect elixir for easing tykes into happy slumberland. 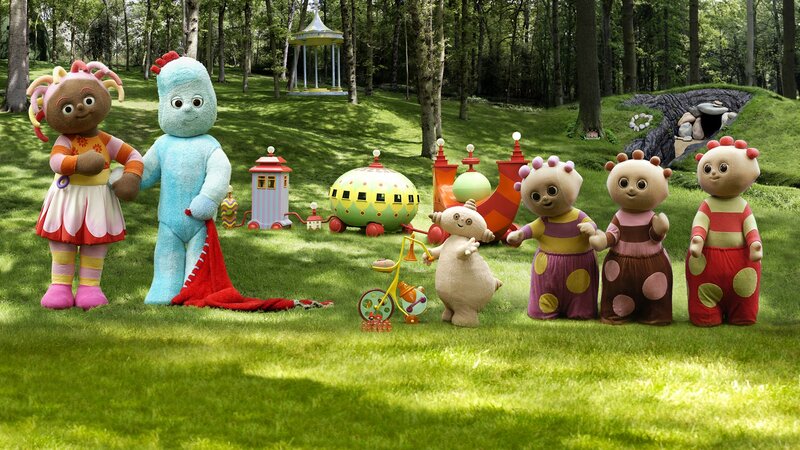 Makka Pakka visits all the inhabitants of the garden to wash their faces. The Tombliboos discover the game of waving. Everybody goes for a ride in the Ninky Nonk. Upsy Daisy wants to look at all the pretty flowers in the garden. Makka Pakka's trumpet is making a funny noise. The Pontipines go for a very long walk around the garden. Who's Next on the Pinky Ponk? 7. Who's Next on the Pinky Ponk? The Tombliboos decide to ride the Pinky Ponk. Helping Igglepiggle search for his lost blanket. Upsy Daisy is kissing everything in the garden. The Tombliboos are practicing their music so loudly it can be heard all over the garden. Makka Pakka sets off through the garden looking for stones. Upsy Daisy shows Igglepiggle how to jump. The Pontipines set off for a walk around the garden. The Pinky Ponk gets stuck in a tree and tips up. The Pontipines are counting to five. Igglepiggle falls down flat and gets a muddy patch on his tummy. The Tombliboos are riding the Pinky Ponk and enjoying their Pinky Ponk juice. Upsy Daisy sets up her own special megaphone to sing. The Tomblibloos run all over inside of their bush looking for their toothbrushes. Igglepiggle has lost his blanket and Upsy Daisy helps him look for it.